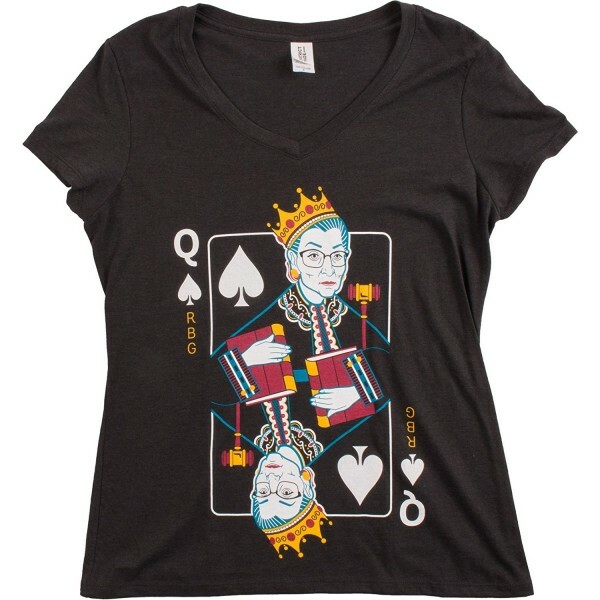 This womens' v-neck t-shirt has a print that's perfect for anyone who hails Queen R.B.G.! 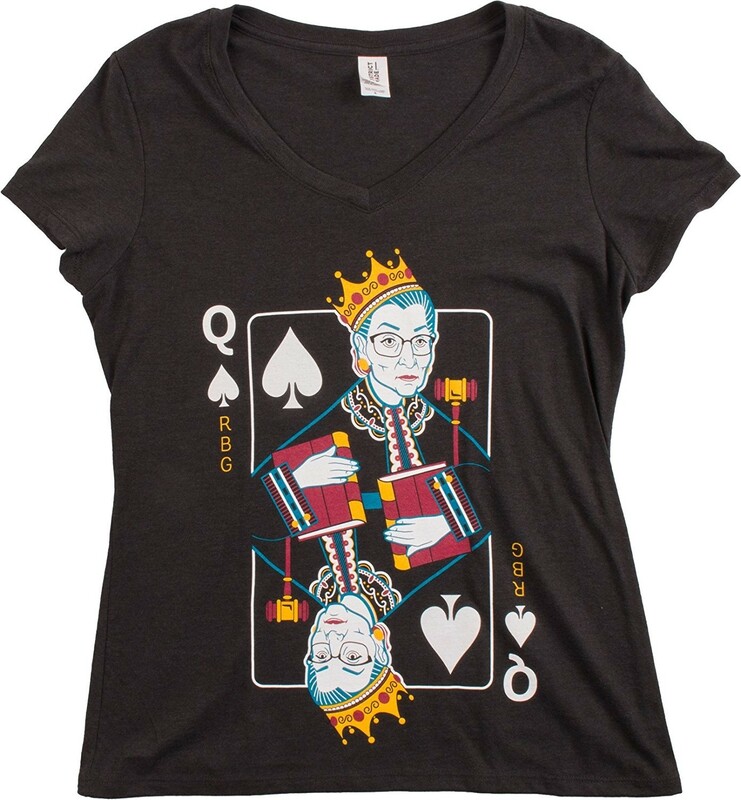 Fans of Supreme Court Justice Ruth Bader Ginsburg will love showing off their queen — law reference books in hand, of course. This 50% polyester, 25% ring spun cotton, and 25% rayon shirt from the Ann Arbor T-Shirt Company was designed and produced in America; it is comfortable to wear and printed with high quality inks. This shirt is contoured for adult women and is pre-shrunk to ensure that you get the best possible fit. It is available in women's sizes small to 3XL. For more fun and empowering clothing options, visit our Clothing Collection.